In one of my articles, we looked at how to build a backyard fish pond, in this article however we will be looking at how to clean our fish pond. As we noted earlier installing a fish pond can liven up any Landscape and Garden area providing lots of fun for adults as well as kids. But in order for us to enjoy our fish pond, we are faced with the challenge of keeping it clean so that our fish will not only stay healthy but the pond itself would not become an eyesore. 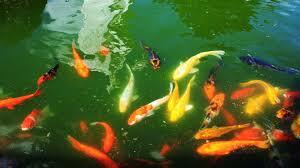 Many companies charge a fee to come and give our ponds a good cleaning. These fees can become very hefty base on the condition of your pond. 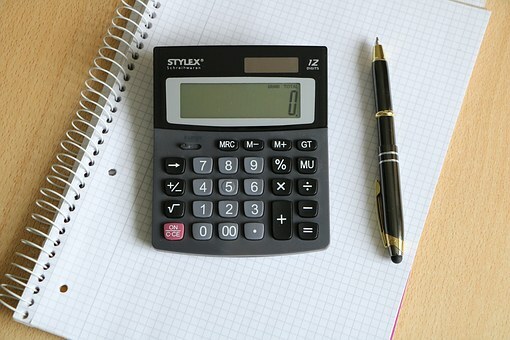 This article was written as a DIY (do it yourself ) guide. If you are willing to take on the challenge and don’t mind getting dirty along with saving on that pond cleaning bill then this article is for you, so with that said let’s look at pond cleaning more closely. 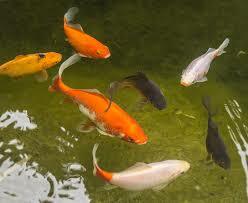 Why and when should I clean my fish pond? As the debris decomposes or breaks down this process produces carbon dioxide when this happens there is less oxygen in the pond for fish to survive. Overfeeding your pond fish can threaten the survival of your fish, the uneaten food settles at the bottom of the pond begins to break down when this happens chemicals releases from this uneaten food can become harmful to your fish. Decomposing leaves also causes the water to become cloudy and muddy which is not good for our pond fish and would become an eyesore instead of a work of beauty. Also, the uneaten foods over a period of time can change the water’s ph causing it to become acidic which is not good for pond fish, this can cause algae to develop. What we have just read can cause our pond fish to become stress, not to mention overworking the filter because of the mass build up of debris. A good time to give your pond a good cleaning is in the spring when the ice is melting and nature is waking up from that long winter nap. Your fish will love you for it as you do some spring cleaning ensuring that they remain healthy at all times. 1. Place pump in the pond, 2. Take the tubing that is attached to the pump and place in children’s inflatable pool. The pool serves to collect the dirty pond water as it is being removed from the pond or if you prefer you can place the tubing in your garden beds and let the water run off there. This water will give your plants a good drink of water. 3. As the water begins to lower collect enough of the existing water from the pond in a bucket and with net catch fish and place them in the bucket. 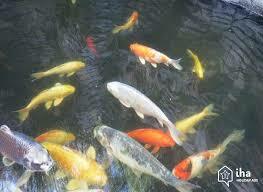 You may be wondering why use existing water from the fish pond to put fish in when you can just use clean fresh water? Well the answer to that question is the fish is already adapted to the pond existing water as far as their body temperature is concern, to take them immediately out of the existing pond water and place them in a bucket of fresh clean water where their bodies are not adjusted as far as temperature is concern can have a negative reaction to fish and can cause them to go into shock. 4. You can then begin to remove debris with a net, also remove lilies from the pond. This is also a good time to clean any dead leaves of water lilies. With debris and lilies removed use a pond vacuum to remove remaining water along with small debris. 5. Use a garden hose and begin to wash pond out, then replace potted lilies back into the pond and begin to fill the pond with fresh water. As the pond is being filled place bucket with fish in water, do not remove fish from the bucket but allow the bucket to sit with fish in the water so fish can adjust to fresh water. 6. Well, water is best to use but if you have to use city water you can always treat the water with a water treatment. After bucket have been sitting in water for 10-15 minutes you can then release fish from the bucket back into the pond. Regular maintenance consists of checking skimmer basket at least every two to three days and emptying the basket of leaf content. Use a leaf net to remove leaves from the surface of the pond. But for leaves that are at the very bottom of the pond, you would use a leaf vacuum. Attach the garden hose to vacuum, once the vacuum is at the bottom of pond go ahead and turn on the hose. Leaves at the bottom will begin to fill the net. When the net is filled remove and empty, repeat process until the bottom of the pond is swept clean. It may seem to be a lot of work but it will pay off in the long run as far as the survival of your fish is concerned and with you saving a few bucks. 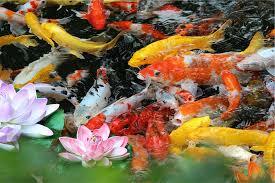 I really enjoyed reading this very thorough article about cleaning a fish pond. I am one of those people who would have an eyesore if I had a fish pond. I like that your article gave very detailed instructions as well as important tips, like not putting the fish into water that they were not acclimated to. My only suggestion would be that you increase your font size a bit. Hello Kathy it is so goo to meet you, I am happy that I could help and I will see about font size all the best to you and have a good night. You know I just kind of assumed that having a fish pond in the yard, meant “care-free” and no worries. I can see now that fish health is important and that it can get dirty. I am sure this is because there is no inlet/outlet of water? If you have a pond that is continuously fed by a stream, I would think that cleaning would be unnecessary? Hello Matt’s Mom happy Saturday and It is always my pleasure. Fish business can be fun, a pond can reallly give your garden area a face lift, it dose require some work but it is worth it. Thanks again all the best to you and have a good day. I liked this post and had one more question for you. I am assuming that the Oase Pondovac 4 Professional Kio Pond Water Garden and Vacuum System you have suggested to use is for larger sized ponds? The equipment looks like it might be overkill for the size of pond I am considering. Or am I incorrect in my assumption? Hello Matt’s Mom it is always good to meet you thanks for your support and I hope all is well. This Pond Vacuum is top of the line and serves so many purpose besides cleaning Garden Ponds this Vacuum can aslo clean Swim ponds, Pools etc… so this really is a great investement. Don’t mind how it looks. Hope this helps, all the best to you my dare lady have a nice day. And please free and give me a shout if you need my help or advice. This was super informative. I feel like this is really going to help me to maintain my fish pond in the future! I was just wondering where you get your cleaning products from because I’m struggling to find some where with quality products? I’ve also had issues where our fish health quality seems to be quite low. Have you got any advice for this? Thanks! Hello Adam it is so good to meet you, one thing you can do is check the water quality of you pond. A build up of leaves and other organic material in pond can cause toxins to build up. Also over feeding fish to the point where uneaten fish food lays at bottom of pond and begin to decompose can change water ph having a negative impact on fish. City water can also have a negative impact. there can be other reasons but start here. You can purchase water treatments beside giving pond a good cleaning if you have to. To find out where to purchase products just go back to my webpage and click on highlighted blue words to get information. All the best to you and if I can be of any help in the future please let me know. All the best and have a good day. Hello, this was a very exciting site to read. I am an avid gardener. Your site is so interesting and so much you can do with it. I did not find anywhere on your site anything about USDA growing zones. When you live in Minnesota this is all you think about zone 5 = burr! 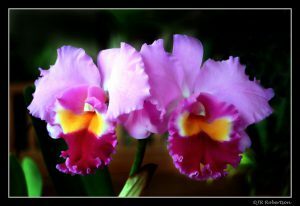 It would be lovely if you add to your plant collection which zones each of these beauties could be grown in. For example, palms, absolutely can’t grow outside in MN but are kept as an indoor plant. 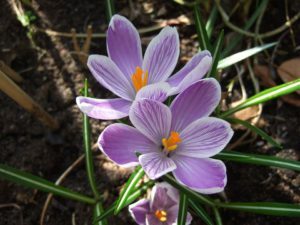 Here a plant may be considered an annual where in Florida they are consider perennials, because our winters kill them off. Very important distinction. 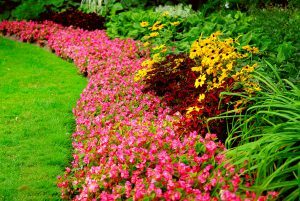 Also, your website would reach even more readers if you addressed things like how to winterize, covering with mulch, winterizing bulbs, cutting back in fall. I absolutely loved the sections on how to create the different type of gardens. Keep going, great site. Hello Michelle it is so good to meet you and thanks a million for those kind words. You advice is greatly receive and I will do my best to create a few post with this information. Wishing you all the best and If you ever need my advice please give me a shout I will be more than happy to help. Have a good day. I have read the precedent post about how to built a fish pond, and this article is exactly what I needed to complete the guide. I don’t know if you remember, but I’ve asked you if mosquitoes won’t be a problem when having a fish pond in the backyard. I know, I have developed an obsession about mosquitoes:) I don’t really like them very much:) They wake me up in the middle of the night! So my question is. Is this machine will help decrease the number of mosquitoes as well? Oh, I almost forgot. Do you ship out of the US? Hello Daniella it is my pleasure as always to help you. I am glad that you are enjoying these articles and they are helping you. To my knowledge I thought that I had send you some information about mosquito control around the pond. 1. keep the garden area especially around pond free of weeds because mosquitoes love to rest on weeds, 2 make sure that there is no open containers laying around that can collect water, 3. certain plants can collect water in the centre cup that would encourage mosquitoes to lay eggs, if you have plants like these make sure to remove water by using a turkey baster, 4. and you can add these mosquito repelling plants around you pond area to keep them away. 1. Basil can repel mosquito and you can also cook with them, 2. Rosemary also repels mosquito and can be use to cook with, so with these two herbs you get the best of both world, they can repel and you can spruce up your dishes. 4. Marigolds can be planted. 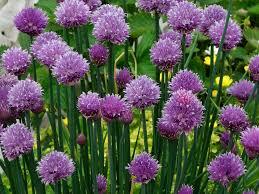 5. then you have Citronella plants that is also effective. These are just a few that you can try. As far as making a purchase just go back to page and click on blue highlighted word and you will be taken to the site with information. Thanks for your support and If there is anything that I can help you with please give me a shout thanks. Cleaning and maintaining a fish pond isn’t easy work. But your guide provided useful tips and explained things well. The list was also great cause I can just copy that list and take it to the store. Cleaning in the Spring is a great idea, they’ll have a fresh pond for the warm weather. The maintenance may help to reduce the frequency in which you have to do a major cleaning. Thanks again. Hello Tugarcia it is so good to meet you, I am glad that I could help. If there is any questions that you need and answer to please give me a shout. All the best to you and have a good day. Hello here. It seems that there is a lot of work to do regarding the cleaning of the fish pond. From the other side, if we want to enjoy healthy fish, have nice water plants, we must maintain surroundings for fish and other living beings in the pond. I guess that not everybody knows how to clean fish pond and what kind of tools supposed to be used for maintenance. Your article will help your visitors to pick the right time for cleaning, choose right tools which will help to keep the fish pond in the good condition. Hello idahlady it is so good to meet you, Thanks for those kind words. In order to reach the site to view full details of pump just go back to page and click words that is highlighted in blue this will take you to where you want to go, thanks again all the best to you and have a good day. I appreciated how well-organized the entire article was. A list of tools needed and a simple, straightforward step-by-step process is exactly what I would want to see in a self-help article if I had a fish pond to clean. I would need it, too. I’m one of those absent-minded people that could probably go for days without it occurring to me that the fish pond I had installed does need to be cleaned regularly. I’d be coming back to this article 5 or 6 times at least before I learned that lesson. Very helpful post. Also, just thought I should maybe point out a minor typo in the article. In the article’s third paragraph you typed “challenge” as “challage”. Sorry to be that guy. I’ve had a go at cleaning a fish pond with my dad once, and it was a massive job! We first had to move the fish somewhere safe (and they were whoppers) and then we had to completely drain the pond which seemed to take forever. I sure could have done with reading this article back then LOL. Your getting “down and dirty” tips are very much appreciated and will certainly help me the next time I decide to empty and clean our fish pond.